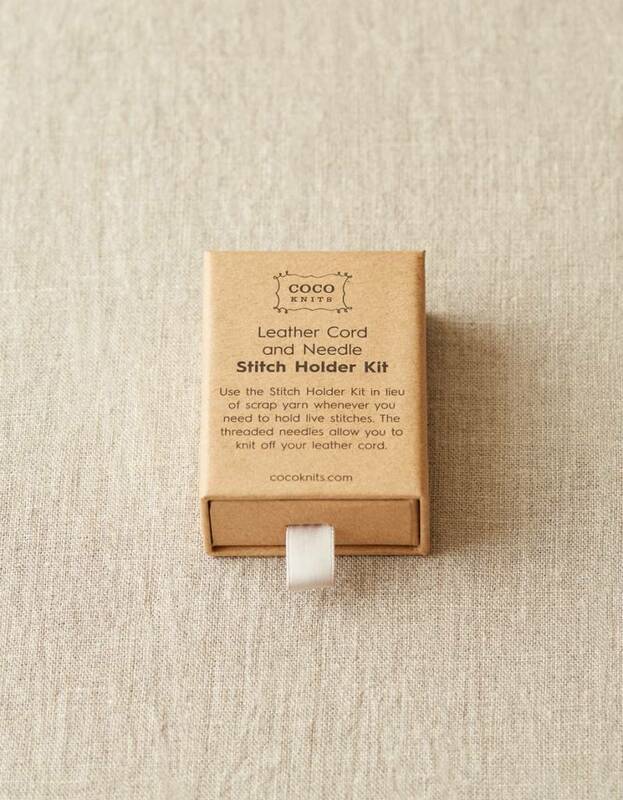 Cocoknits Leather Cord and Stitch Holder Kit - Woolly&Co. 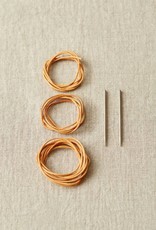 Use the Stitch Holder Kit in lieu of scrap yarn whenever you need to hold live stitches. 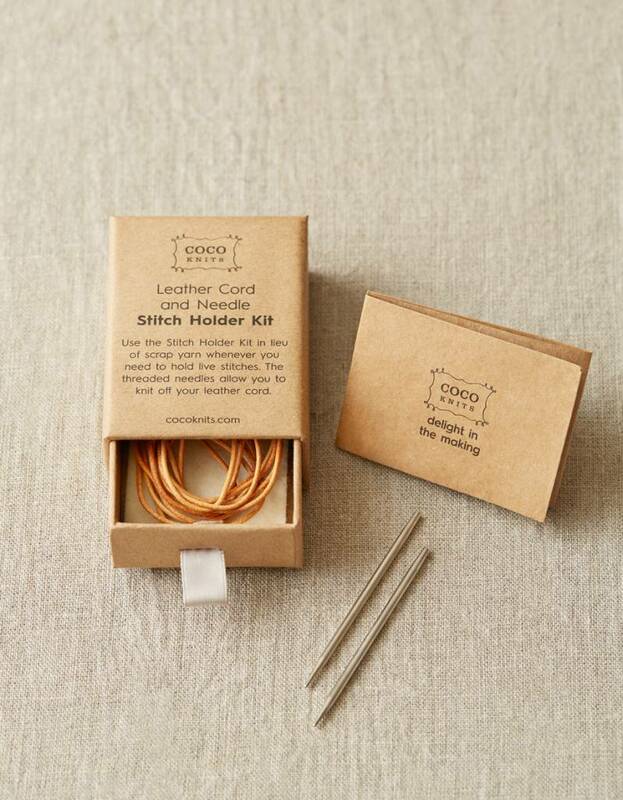 The threaded needles allow you to knit off of your leather cord. 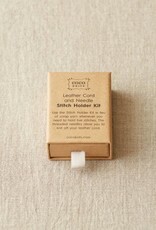 Keep the contents of your kit in the reusable kraft drawer, lined with 100% wool felt. 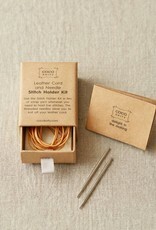 Please note you may need to snip the end of your leather cord at an angle to facilitate attaching the needle. 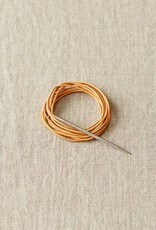 Screw the needle on only until it is attached to the cord. 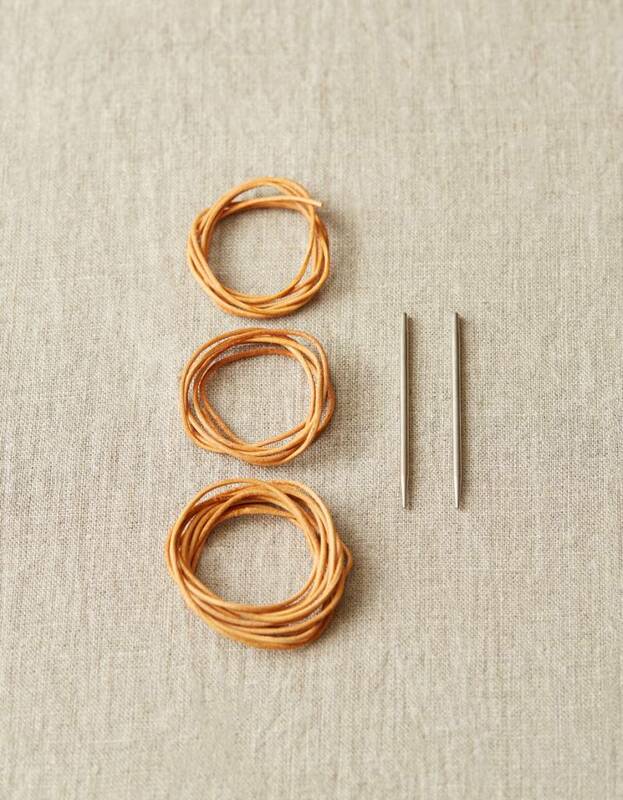 If you continue to over-screw, you risk breaking the leather inside the needle. 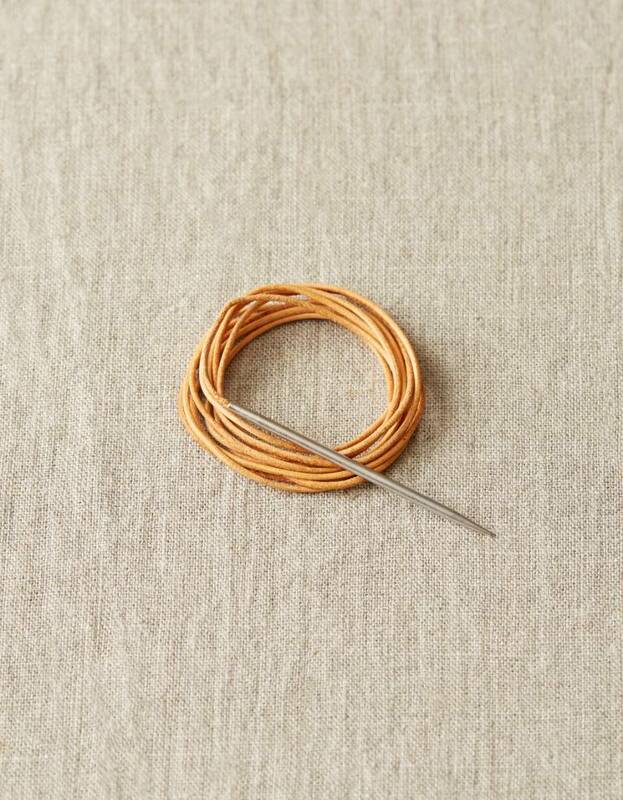 If you find the leather cord too rough or sticky for your liking, we suggest waxing the cord with beeswax, Thread Heaven or a similar product to smooth out the rough patches.